The Pearl of Scandinavia is a large floating hotel, housing more than 2000 passengers. You can get reasonably priced cabins, but you may easily spend €600-700 for a Commodore class cabin. I stayed in one of these cabins, and for the price I would spend the money on something else. Accessibility: Getting to the ferries is easy, both in Oslo and Copenhagen. Oslo is only a 15 minute walk away. In Copenhagen you can take bus 20E, a free shuttle bus bringing you from the terminal to Kongens Nytorv in less than 10 minutes. The crossing from Oslo to Copenhagen offers travelers great value. You may enjoy a magnificent view while traveling out the Oslo fjord and next morning when entering the strait of Øresund with the Swedish coast on your left and the island of Sjælland on your right. And when the weather is great, what could be better than this. The service was overall good. 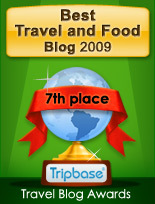 The staff at the reception and the crew on board was very helpful and kind. So was the staff at the breakfast room. 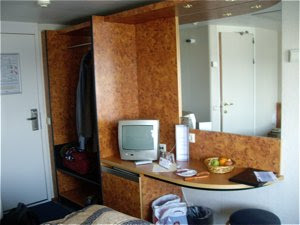 Room was rather small, compared to the Commodore de luxe balcony cabin I enjoyed at Crown of Scandinavia in 2008. The size of the bathroom was equally small, comparable in size to the other bathrooms on the boat. The big difference was that it was tiled. It had a neutral, but rather plain character. There were a small desk, a wardrobe with racks of hangers, an empty minibar, a double bed, and a small armchair facing the window. No balcony, I am sad to say. It was some need of maintenance. There were small stains on the wall, and cracks between the tiles in the bathroom. Hygiene was acceptable as well, but I found some dust on some surfaces, i.e. top of mirror and picture frames. Breakfast for the commodore travelers were served at the Blue Riband restaurant, providing privacy as the breakfast for other travelers was served at the buffet restaurant 7 seas. The breakfast was first class, as everything else. Scrambled eggs, sausages, crispy bacon and fried tomatoes. 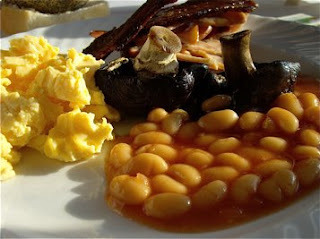 The scrambled eggs were rather tasteless and had an unpleasant consistency. The bacon was delicious, but the sausages were undercooked. There were cheese and cold cuts in abundance. The supply of fruit were a little low. You could also treat yourself to cereal og yogurt, if you wanted a healthier start on your day. 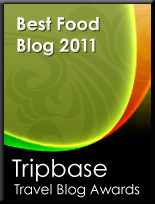 - Inhouse restaurants: Four restaurants serving food on different price levels and one cafeteria. 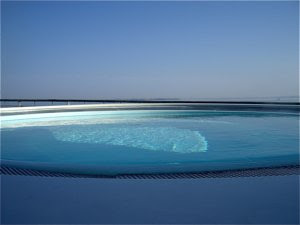 - Inhouse leisure and exercise facilities: Swimming pool (empty) and hot tub at the rear of the ship. Inhouse cinema. Tax-free shops. - Well being: Good individually controllable air conditioning in every cabin. Free wireless zone by reception and in cafeteria. - Other services: Free shuttle bus in Copenhagen. Cooling and freezer room available for food storage. 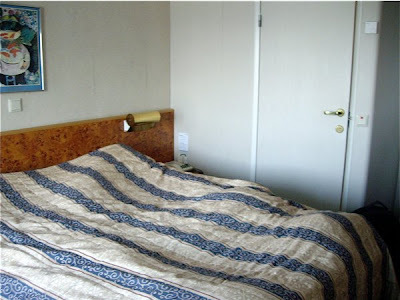 These cabins are, in May and June priced at DKK 3800,- This is a huge amount of money to pay for two, considering the size and standard of the room. 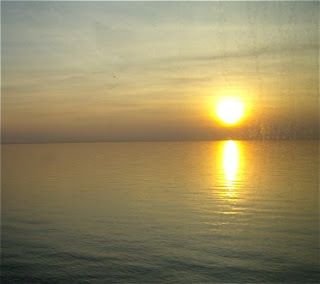 The standard offered should have been much higher to recommend a passage to Copenhagen for two, at such a cost.